In December of last year,Old Town Athletic Club on Walker Drive was transformed into the Old Town Athletic Campus with the addition of The Hub, a brand new space delivering an improved fitness experience with boutique-style exercise spaces. Members of all fitness levels now have the ability to select memberships that cater to their specific goals. Options include OTAC Spark, or group exercise classes; OTAC Fury, or small group classes; OTAC Force, or semi-private training; and OTAC Focus, or one-on-one training. OTAC Breathe a yoga and Pilates membership, and Parisi Speed School, an athletic conditioning membership, are available at the lower building. Now officially joining the lineup as of March 8, comes OTAC Iron, a utilitarian-style gym designed for the specific needs of independent exercisers, and OTAC’s most affordable option at $39 per month. 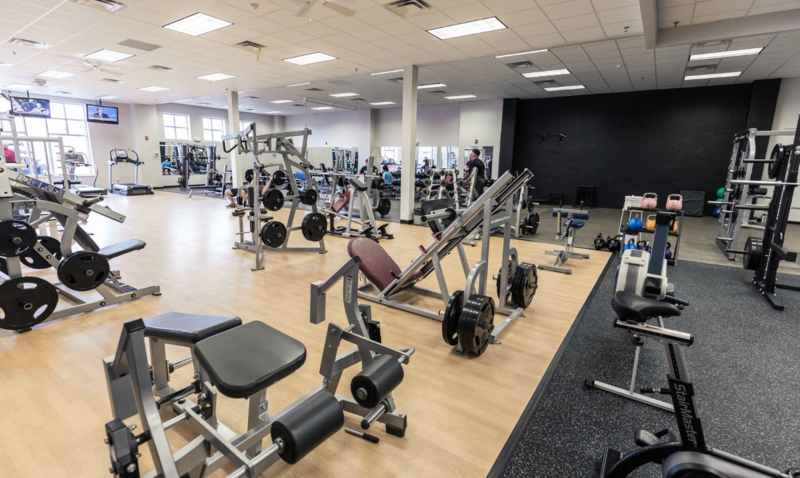 Iron, operational since last December, has undergone extensive renovations to create an open floor plan that will house brand new cardio and weightlifting equipment. Iron members can enjoy brand new treadmills, ellipticals, bikes, rowers, selectorized equipment, and wide variety of cable options. For avid lifters—dumbbells from five to 150 pounds, squat racks, bumper plates, standard and specialty bars, and an outdoor workout area with a squat rack, a sled and monkey bars are available. There are also dedicated areas for stretching, ab and body weight work, and accessories like bands, plyo boxes, TRX systems, pull-up bars and more. Additional amenities include a fully stocked juice bar, locker rooms with showers and a supplement and retail store. For members with young children, Kid Care is also offered as an option. In the month of March, OTAC Iron is offering a 10% discount for new members, bringing the monthly price from $39 to $35. To learn more about becoming a member of OTAC Iron, Spark, Force, Fury, Focus, Breathe or Parisi, call (540) 349-2791.